As the part of online marketing strategy, the PPC or the pay per click is one of the top most methods of online promotion and advertising. 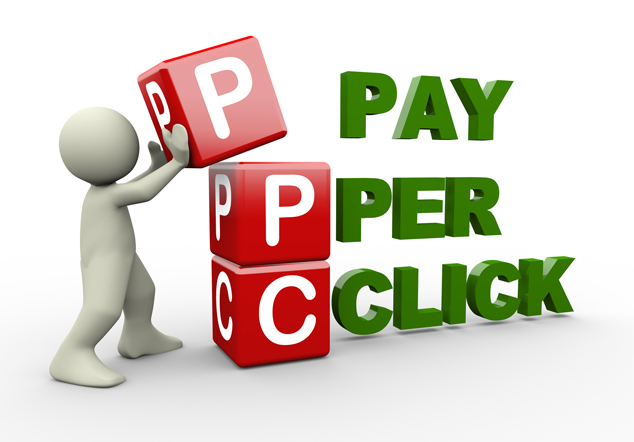 Through PPC, you can get an idea about the visitors to your website. When you are in a PPC agreement you will pay only when a visitor clicks on your particular search engine result, link, banner or advertisement. In the other words, PPC is a paying for performance advertisement. 2 What is Social Media Optimization(SMO)? Developing a strategy to convert audiences into the clients. Developing the revenue generation actions. Keyword selection is the vital part of PPC ad campaigning as the whole online marketing structure revolves around the selecting, analyzing and creating the based content over it. No matter, in which field, your company is providing the services or products, through a well-designed and well implemented PPC ad campaign, you can meet your targets and reach to the desired results. Interested in your advertised products. Click on your ad and look around. Want to know more and return to your website again. As the most beneficial outcome of a perfect PPC strategy, you receive a nice amount of quality traffic and a greater percentage of success as the serious visitors go through the deal making a process or subscribe your offered service. It is necessary to conduct the conversation rate analysis that helps in getting the clear picture about the turning off visitors into the sales and leads. Now, the matter arises that how to use the outcomes of the results of analysis of PPC campaigns. Observing the effectiveness of the clicks and also in the adjusting the campaigns on its base. Figuring out the most productive and suitable keyword terms. Evaluating and comparing the various advertisement copies. Evaluating the most working search engine that provides the most desired results. To determine the right price for pay per click. Setting goals and conversation rate. What is Social Media Optimization(SMO)? 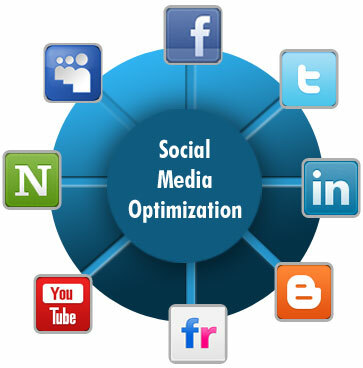 SMO or social media optimization can be referred as the technique or the art to attract the desired traffic to the website from the various social media platforms such as Facebook, LinkedIn, Twitter, Google +, Pinterest, etc. For this purpose, many things can be in it such as social book markings, RSS feeds, use of the picture/video sharing websites, sharing buttons, reputation management, online surveys and polls and much more. The main focus of the social media optimization is pointed on getting the free yet quality traffic from the various sources (other than the search engines). People sometimes pronounce the SMO as the social SEO, but the both are rather different aspects and a set of activities that somehow drive the similar results and the techniques are complementary to each other. It is most popular and followed online promotional campaign applied by almost all the business organizations who want to promote their brand, products or services and using the power of various social media websites to drive the huge amount of global traffic towards their website. Through an effective networking and promotional campaign on the popular social sites, it becomes easy to create a buzz among the active communities and aware them about the availability of the desired product. As the primary fundamental of the SMO, it must determine the preference of your target audiences across the various social media platforms around the web universe. The activity encourages the link building as well as the promotion of the services and the products. With the help of embedded buttons and made widgets, you can encourage the social activists to share more. It is also applicable to use recommendations or the bookmarking on your web page or the blog post. The webmasters search and apply the best suitable formats and placements for this intense. SMO is the platform to get a reward of your content offers and promotional campaigns in the form of “likes”, “shares” and “retweets”. It is also the base of long term conversations if you encourage the audiences for deeper engagement and conversations. It envelops the steps and formation of the sharing procedure beyond your safe and convenient zone. It is very helpful to involve the article syndication to the related platforms such as Scribed and SlideShare and other of the same niche. Many professionals also use to develop their own website atomization widget. When you remix your content and fuse it to encouraging the social communities and in the result, you get a greater user generated content material. It an effective part of your campaign’s success. What is the sharing activity or the type of promotion that helps you to get desired results such as the leads, sales, and the change I the brand preference? Determining the activity status of the SEO activities and its performance in the field of rank boosting and encouraging the backlinks. What is the preference zone of your target audiences and is social media service provider used by you can meet those specified requirements? What is the most proper or the suitable frequency for sharing initialization of sharing? Which way or method is the best in the terms of identifying the influencing and sending the content? Well, I’ve provided you the overview of what is Pay Per Click Advertising and Social Media Optimization, If you have any suggestions then share with us.